HRBSE-105 | Size: 30 ml / 1 fl.oz. 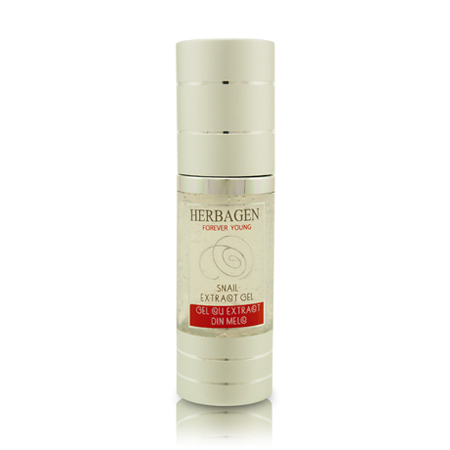 A non-oily, easily absorbed formula that hydrates, re-balances and regenerates. 97% natural origin ingredients, chemical-free formula. For normal to oily, acne affected and sensitive complexions. Calms and heals inflammations which appear due to acne, light burns or recent wounds. Accelerates the exfoliation, removing layers of affected skin which presents pimples, scaling or black dots. Increases the skin brightness while diminishes spots and freckles. Calms the irritations which ocasionally appear after shaving, sun exposure without protection or after waxing. Prevents growth of some bacteria species which may appear on the acne skin. Hydrates and increases skin elasticity by activating the secretion of collagen and elastin;increase tissue regeneration. Protects skin against free radicals which are caused by polution. I alternate between the serum and this gel. It is wonderful on the skin. Worth the money! I apply it whenever I don't wear make-up and definitely at night. It takes frequent applications to see the difference, but it works on the deeper levels of skin. So it takes a bit of time. Helps improve skins, smell is a bit off putting and sticky until it is dry.